Rebecca was born and raised in Big Sky Country. She appreciates all the outdoor activities that are offered year-round. Each season brings something exciting and new to experience with her family and friends. Raising her daughter in the Flathead Valley gives her the ability to teach her daughter to have a sense of adventure and revel in the wonder that only Montana provides. Rebecca received her college education at the University of Montana and is an enthusiastic Griz fan. She pursued a degree in Medical Assisting because she enjoys caring for, and helping everyone that she can. She worked in HealthCare for 11 years and has found another way to fulfill her passion of helping others, by becoming a Realtor. 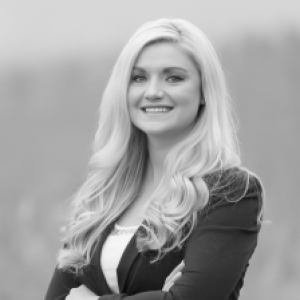 As a Real Estate Professional, Rebecca loves meeting new people and helping them find their dream home or property. Rebecca comes from a long line of Realtors and she has learned a great deal from their combined years of experience. She is a very driven, honest, and hard-working person. She will be there to guide you through every step of the purchasing or selling process. She aims to support her clients in any way she can to ensure that the transaction is as seamless as possible. She loves Montana and it is her forever home. She is excited to be with PureWest Real Estate and looks forward to working with new clients.